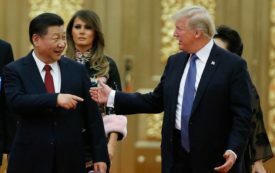 Jeffrey Wasserstrom is Chancellor’s Professor of History at UC Irvine and the co-author of China in the 21st Century: What Everyone Needs to Know, the third edition of which was just published by Oxford University Press. We should pay more attention to Beijing’s repressive actions. 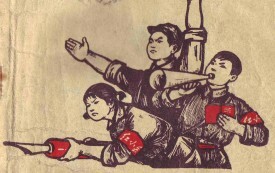 How Will China Mark the 50th Anniversary of the Cultural Revolution? Authorities now see it as a dangerously chaotic period, and they attack other youthful protest movements as resembling the turmoil caused by the Red Guards. 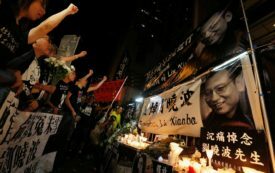 Hong Kong’s democracy movement stands at a crossroads. China has changed enormously since the 1989 massacre, but the Communist Party continues to deny what happened. Americans, too, continue to misremember a complex event. China is a country that takes anniversaries seriously. But reaction to significant historical events to be commemorated this year has already taken place. What Would Mao Think of the Games? He'd feel bad that the whole Communist era was airbrushed out of the Olympic spectacle. But he'd probably like the swimming. How will the Olympics play in the Chinese equivalent of Peoria, among a populace skeptical of the government's intent and eager to tout their own economic clout? China's response to the earthquake and other calamities of 2008 challenges the West to rethink its prejudices. Two days in May could mark a turning point in the debates over Olympic boycotts.